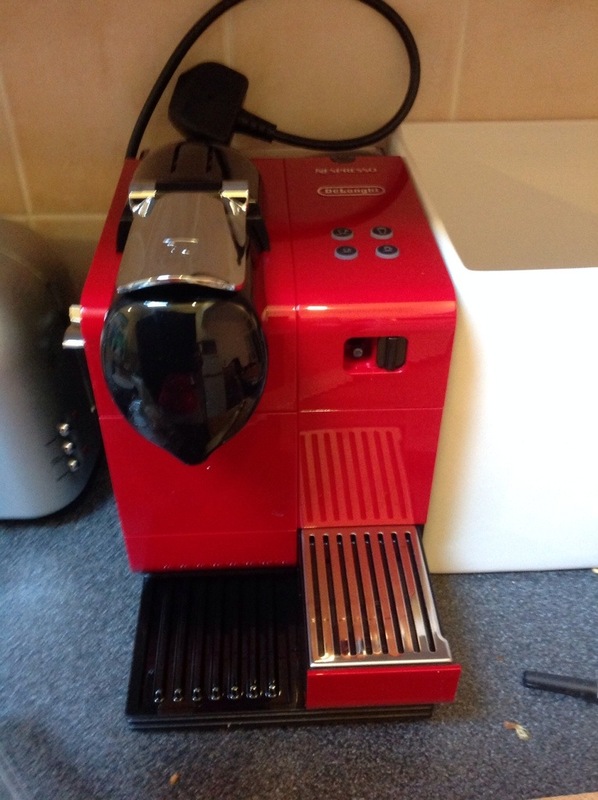 A while ago, I updated you on what felt like the highly decadent step of buying a Nespresso machine. And the irony of making this purchase on a camping holiday. I have not purchased a commuter coffee since. When I worked form home the other day, instead of worrying about whether a trip out for a cappuccino was taking too much time out of work, I just pressed a couple of buttons. I actively missed it when we spent 2 weeks in France lately and each morning I respond to my alarm with the thought of, at least I get a nespresso shortly. Also fabulous is the decaf range, restoring my ability to have a good coffee after a good evening meal. And look at this amazing crema. There are limits to my new love. I still refer to which ‘choice of coffee’, rather than which ‘grand cru’. I also complained at Nepsresso’s presumption that it could improve my palate. And I would like to point out that my palate is exactly the same as it was, thank you very much. This of course is not due to the fact that I just don’t have the metabolism to queue up espresso’s and compare their relative high notes, but because I am a coffee shop blogger, and I would not admit to deficiencies in palate. Oh, and to the gentleman on twitter who pointed out that I should not hold back from Clooney bashing on the mention of Nespresso because ‘I am not on his radar’ so I shouldn’t worry about being mean. Errr, duh! I’m Blackheath coffee shops, how would I not be on his radar? When my eyes were bedazzled by the glossy nespresso machine in the cooking shop where we were on holiday, I wasn’t thinking of myself as being unfaithful. I was unaware I was betraying my humble cafetiere, and the workday faultless barista service of Pret a Manger. 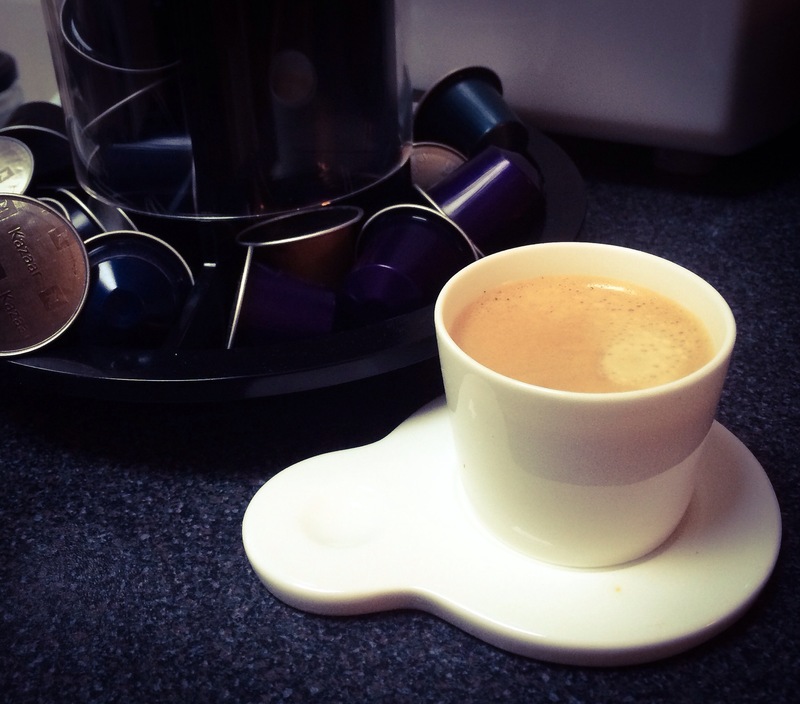 But when I came home from my holiday high and lay awake thinking about it, what actually was wrong with my cafetiere, a masterpiece of a gadget, simple effective and marvelous in providing good coffee? And if I bumped into a regular Pret baristas on the street, how would I explain that I would no longer be a daily visitor despite their pret-trademark charm and efficiency (cappuccino with no queues), and coffee with a good bite. 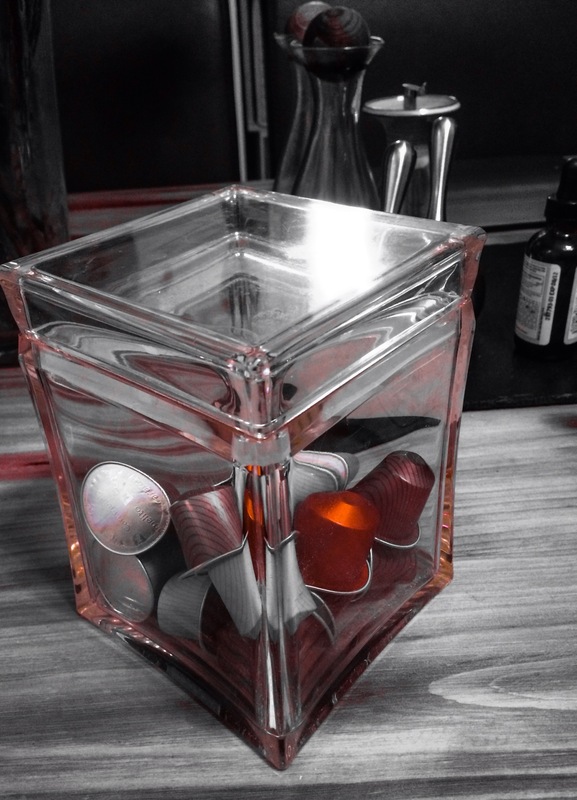 The only single reason I could come up with for buying a Nespresso (after I had bought one) was to be in the little club; to get something better than you had that you didn’t know there was anything wrong with in the first place. This is what really troubled me, nothing was ‘fixed’ by the Nespresso machine. But the stakes were raised. I will admit that the one thing that is massively improved by the machine is being able to steam the milk – something that no other milk frother comes close to. And ok, I will save money by neglecting Pret. I am still trying to find an expresso with the bite of Pret in the 23 capsule options, (otherwise known as grand cru- my teeth are on edge) and when compared with the really good coffee stakes of Blackheath, there doesn’t seem to be a flavour that matches the rich coconutty blend from Black Vanilla and Chapters, or the cindered Volcano blend from The Scullery. Can any one point me in the right direction? I find myself comparing notes at work, and day dreaming about which coffee I will have next. How kitsch this will seem in twenty years time, like black forest gateaux and prawn cocktail. The letter of introduction to the starter pack assures me that regular partaking of the different options will improve my palate. Cheek.